All about Taiwan’s biggest pumpkin collection, biggest kumquat processor, Aborigines’ farm, a rice leisure farm, and more. the invitation of the Taiwan Leisure Farms Development Association (TLFDA) in collaboration with Jane Chen of Everbright Travel Agency. This was the fifth time that this editor was invited to visit members of TLFDA, which has a membership of more than 200 leisure farms all over Taiwan. This time, we went full circle around the island nation. Except for one farm, we visited farms we had not gone to during our previous trips. All of them are truly interesting, full of practical ideas that can be adopted by Filipino entrepreneurs who would like to put up their own leisure farms. businesses that include not only farming but other activities that will attract visitors from the cities not only in Taiwan but also from other countries. It is one way of promoting economic activities in the rural areas. Here we go! Wang Shan, a farmer in his early 60s, made a smart move some 18 years ago when he converted his farm into a leisure farm that specializes in pumpkins and their many relatives. He collected varieties from all over the world and even crosspollinated them. 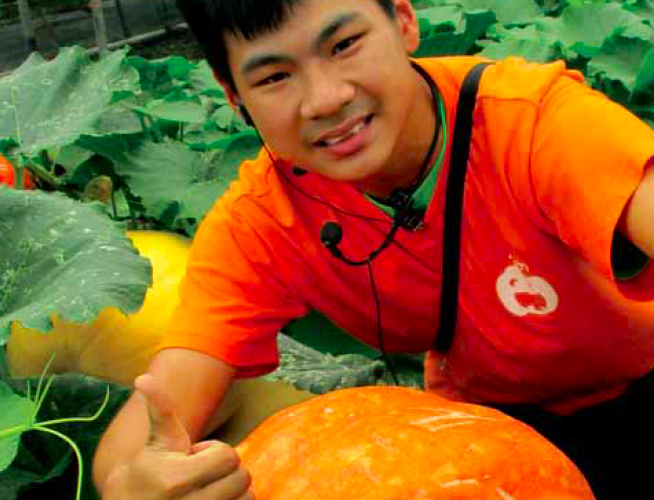 Today, Wang Shan Leisure Farm boasts of having the biggest collection of pumpkins in the whole of Taiwan. They have no less than 450 varieties, according to Eric Lin, Wang Shan’s son, who joined his father after he finished college to manage the leisure farm operations. The varieties come in unimaginable sizes, from the very huge to the very tiny ones and those in between. They also come in various color patterns. Some are very nice-looking while others look weird with their warty skins. All these beautiful and weird fruits make the farm stand out. They attract a lot of people. 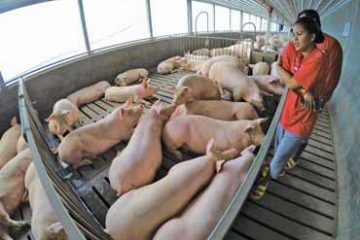 Last year, no less than 60,000 people visited the farm, paying an entrance fee of NT$60 or about a hundred pesos in Philippine money. But they don’t make money only from the entrance fees. 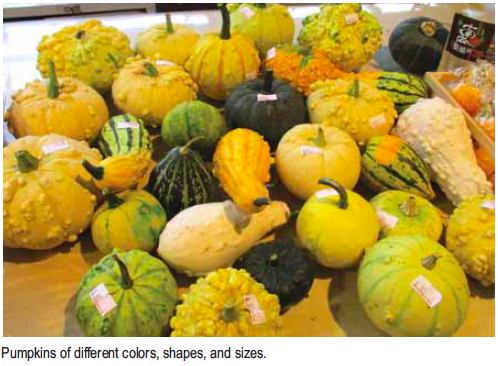 Some people may buy a huge pumpkin that weighs more than 25 kilos and which fetches NT$8,000 or about Php12,800. The very small and colorful ones could be bought by fruit and floral decorators. There are also do-it-yourself (DIY) recreational activities which also bring in revenues for the company at NT$100 per head. One of them is making pumpkin cake, which is cooked right on the farm and consumed by whoever makes it. Some kids are brought by their parents to participate in painting pumpkins. There are also many souvenir items that visitors can buy like stuffed toys, pumpkin biscuits, and juices. They have pumpkin milk, pumpkin coffee, and pumpkin ice cream. At the end of the season, the unsold fruits are processed into powder which is used as a flour substitute for making cakes, cookies, noodles, and the like. In Taiwan, the leisure farms offer a lot of recreational activities to attract visitors from the local cities as well as from abroad. One of them is fruit picking, which is enjoyed by both the young and the not-so-young. At the Fairy Story Village Organic Farm in Yilan county, we particularly enjoyed picking ripe mulberry fruits. This is a fruit tree that is grown in many countries around the globe, both in temperate and tropical countries. Some varieties have elongated cylindrical fruits while others are just half an inch long or even shorter. In our hometown in Ilocos Norte, we call mulberry “amoras” but it is now rarely found in backyards. At the Fairy Story Village Organic Farm, a bread and breakfast (B&B) business in the countryside, mulberry picking is one of 12 DIY recreational activities. Mulberry picking offers an opportunity for families (parents and children) to experience the joy of staying in the farm away from heavy traffic and pollution. Mulberry picking is an enjoyable experience because you can harvest the ripe fruits and eat them immediately, even without having to wash them. That’s all right because the plantation is an organic farm that uses no chemical pesticides. 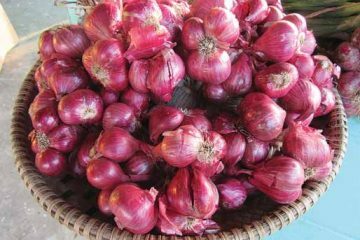 The ripe fruits, red or purple, are sweet and juicy and even children will love eating them. The mulberry tree can develop into a tall tree, but at Fairy Story, the trees are very low-growing. Most of them are just five to six feet tall. And that makes harvesting easy, even for small children, because many of the fruits can be found just about two feet above the ground. The trees are drastically pruned to make them low-growing. Because the trees are not allowed to grow tall, they are spaced just about three to four meters apart. With this spacing, you can plant a lot of trees in just one or even half a hectare. Of course, to make the trees healthy and fruitful, they should be adequately fertilized with organic fertilizer. Mulberry trees are easy to propagate. Branches can be marcotted to produce planting materials that will bear fruit in a year or two after planting. Branch cuttings can also be rooted in nursery propagation bags. This, too, is a practical system of multiplying mulberry. There are also reports that mulberry can be propagated from seeds. The plants from seeds will take a longer time to grow but it is claimed that the fruits of seedling trees are often more uniform than those of trees grown from cuttings. Mulberry fruits contain anthocyanins, which are responsible for the red, purple, or black color of the ripe fruits. 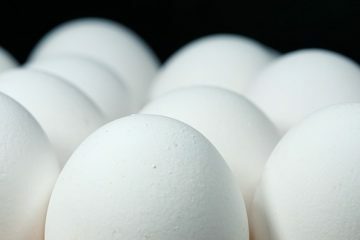 The anthocyanins are said to be water-soluble and are easy to extract for use as natural food colorants. when they are heavily laden with fruits. By the way, in the Philippines, the Mariano Marcos Memorial State University (DMMMSU) in Bacnotan, La Union, has a collection of mulberry varieties that are used in their silkworm project. Yilan County in northern Taiwan might as well be called kumquat country because over a hundred farmers there produce no less than 3,000 tons of fresh fruits. Kumquat is a small citrus species that is very prolific. The fruits are golden yellow when ripe and can be eaten fresh, including the skin. Heavily fruiting potted kumquat is a favorite décor during the Chinese New Year, and one such potted plant can cost a fortune in the Philippines. In Yilan, the biggest kumquat processor is the Agrioz Food Co., managed by a very amiable Ting Kang Lin, who was educated in Singapore, where he learned his fluent English. The company processes at least 1,500 tons of fruits supplied by farmers each year. These are made into many different candies and preserves. Kumquat candy making was started long ago by his grandparents. When he took over to manage the company, he converted the old factory into a cozy café which attracted many visitors. Then he built a modern factory for making various kumquat sweets. Unlike other big companies, the factory is open to everybody through a glass panel overlooking the workers. And anybody can take pictures. DIY activities are offered. One of them is making bottled preserves which can be ready for consumption in just a few days. 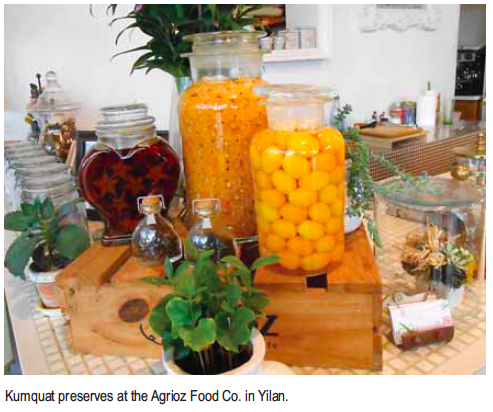 Because of the beautiful ambiance, newlywed couples often have their pictorials in Agrioz Food. Sometimes, as many as five couples have their pictorials at the place in one day, and each one pays a fee of NT$1,000. A lot of people really visit Agrioz Food for its many varieties of kumquat sweets. Aside from kumquat, they also have other dried fruits like balimbing (star fruit) and pineapple. During our visit, the parking area was full of various cars and a few buses. For the first time, we visited the Pacific side of Taiwan, particularly Hualien county where we visited Shin Liu Farm, where the Amis tribe lives. Members of the Amis tribe are a merry people who love their native dances and are very protective of the environment. Shin Liu Farm is in the wetland region where lotus and other water plants abound. Although the place is remote, there are foreign visitors who don’t mind the long trip to get there. During our visit, we saw several Caucasians enjoying their visit. A lady Amis showed us an interesting way of cooking fish and vegetables in a bamboo “pot”. The pot is actually an internode of a giant bamboo which is open at the top. The bamboo is filled with water and sliced fish is placed inside. To cook the fish, a black rock that is fully fired is placed inside the bamboo pot. A fired rock is placed inside the bamboo container four or five more times. Before the last rock is introduced, freshly picked watercress is placed inside to cook. Then the soupy dish is ready for eating. Guanshan is a small town of 8,000 people in Taitung county in the south. The farmers produce more rice than they can normally handle so they have a problem with marketing. According to Steven Peng, head of the rice training school which is considered one of the country’s leisure farms, the rice produced in Guanshan can feed no less than 300,000 people. Of course, the Philippines cannot hope to import rice from Taiwan because the price is at least Php100 per kilo. And it is usually more than that. Most of the farmers, 1,400 of them, are members of the Guanshan Town Farmers Association and they don’t only make money by planting rice. 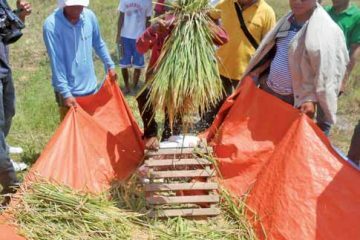 The association is making money from its other businesses like its rice processing plant, its supermarket, its own bank, and insurance company. One of the money-making divisions of the farmers’ association is the Rice Learning School, headed by Steven Peng. Last year, he said, the operation earned NT$30 million. Because the government is encouraging the youth to become aware of the importance of agriculture, students are sent to the school to immerse themselves in the basics of rice production. Another revenue generator is the store where rice is packaged in different sizes to suit different situations. A two-kilo pack of vacuum-packed rice is ideal for gift giving or for use by single people living alone. Another is a pack good for one week’s consumption. Aside from rice, the store also carries a lot of other merchandise, including tea, beauty and wellness products, snack food, and many more. 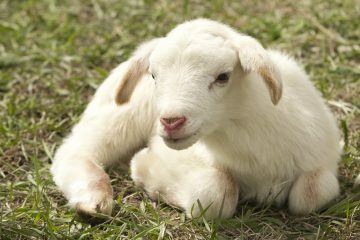 We visited this leisure farm the second time around, and what new thing did we find? 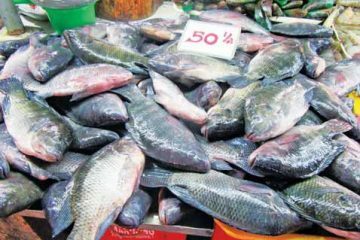 We gathered that batches of Chinese Filipino students have been going to immerse themselves in environmental studies as well as to to learn Mandarin. Jane Chen tells us that a while back, she sent about 16 students for a three-week stay at San Fu. At San Fu, the owner himself loves to show how they control mosquitoes by putting standing water in metal containers and putting a few young tilapia in them. When the mosquitoes lay their eggs in the still water, their wrigglers are eaten by the fish. The owner also loves to show the different varieties of frogs that help control insects. Then there are the butterflies that are an indication that the place is environmentally healthy. San Fu is also famous for its violet coffee and its pomelo blossom tea. Our friend Ronald Costales got the formula for making pomelo blossom tea and is determined to do this on his own farm. The Tai-Yi Ecological Leisure Farm in Nantou county is one of the most-visited leisure farms in Taiwan, in the category of the Flying Cow Ranch. Our travel agent, Jane Chen, tells us that it is sometimes difficult to get a booking because the accommodation facilities are always full. The farm has carefully planned theme parks that include the Flower God Temple, Rainforest, Culture Museum, Butterfly Pavilion, Green Sculpture Park, and Greenery Square. The many mini-begonias with different colors are really impressive in their floriferousness. The flowers are edible and they can be used in salads. One of the popular DIY activities is picking strawberries grown above ground in greenhouses. For NT$300, one is given a pair of scissors for picking the fruits and a styropor pack for storing one’s takehome fruits. Meanwhile, while you are inside, you can eat all the strawberry fruits you care to eat. It is very safe because it is an organic farm. In another greenhouse, we spotted a different plant that produces a lot of round fruits with dull maroon stripes when immature which become yellow when ripe. Our guide tells us it is their “special peach” but it is not the peach that you and I know. The plant is somewhat like an eggplant that grows tall. The ripe fruit is sweet with flavor of apple and melon. Overall, our latest trip to Taiwan was a most educational and enjoyable one.